The Opposite of Influence – Unbecoming Conduct | Stacey Hanke, Inc.
Have you ever questioned your behavior or exited a meeting questioning why you came on too strong? Did you wish you could take back what you said? Even worse, you realize that your behavior left your listeners questioning you, your message and their trust in you. Take a look at sports, politics or religion, where unbecoming conduct is widespread. Participants often dwell in a gray area between truth and fiction, taking a “do as I say but not what I do” approach where questionable behavior crosses the fine line between what is acceptable and unacceptable, or even legal. What people say – along with their inconsistent behavior – makes us question who they are and what actions they will take when we see them again. Think about the last 30 days. Is there an example that comes to mind of a vendor, client or team member who was guilty of unbecoming conduct? They behaved in a way that made you question their behavior and whether their poor conduct influenced you in a negative way. Today ask someone you can trust what your behaviors and reputation communicate. During every interaction this week, focus on what your behaviors communicate. Focus beyond the words you speak. Is your body language consistent with your message? Identify three behaviors you are willing to enhance over the next 30 days. Create three action steps you will commit to for 30 days. Influence Monday to Monday® will not occur when your conduct is unbecoming! Drop me a note to share the steps you took this week to ensure your conduct isn’t unbecoming or tag me on my Facebook page. If you missed one of Stacey’s previous blogs or tips, visit her online. 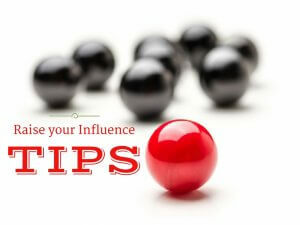 Click Here to Receive our Top Tips for Speaking with Influence! © 2019 Stacey Hanke Inc. Design by Bureau Gravity.